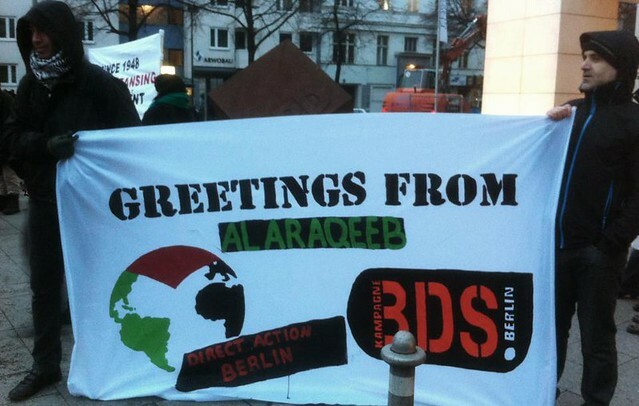 Rally on December 20th 2012 in front of the Social Democratic Party headquarters (SPD) in Berlin. 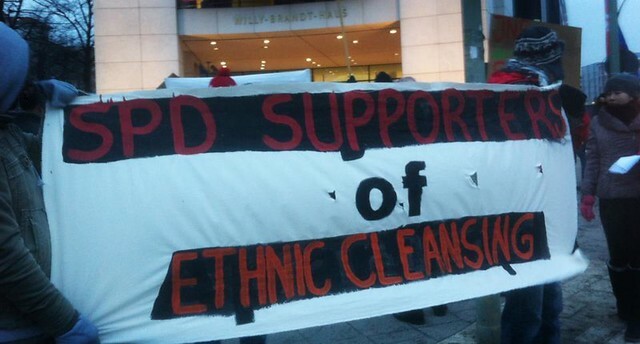 Stop the fundraising of the Social Democratic Party of Germany (SPD) for the Jewish National Fund! Stop this colonial fund, which is jointly responsible for the expulsion and displacement of Palestinians, in the past and present! The campaign “Forest of the SPD” is a cynical “Christmasgift” and a slap for peace, human rights and human dignity.